Here you will find Wedding services for the Bride and Groom including wedding photographers and unusual wedding venues and other wedding related businesses that are all here in North Cornwall. If you are looking for a unique wedding venue then North Cornwall offers some unusual and spectacular locations in which to tie the knot, such as the Guild House at Poundstock or King Arthur's Great Halls at Tintagel. But for a comprehensive list of wedding venues see below. Delivering Special flowers to Special Mothers on Mothering Sunday. for a small intimate wedding reception and is available for hire. Tintagel Wedding Venues. Camelford Wedding Venues. 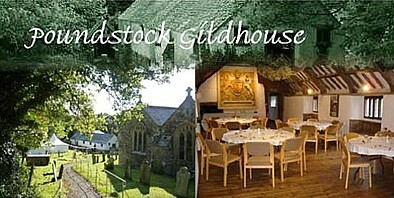 Bude Wedding Venues. Websites Designed by Kestrel Solutions © 1998-2016 All Rights Reserved. 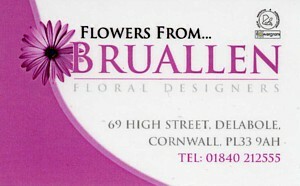 North Cornwall weddings. In north Cornwall you will find venues for civil weddings and other traditional weddings. You will also find unique services such as wedding photographers and wedding cake makers as well has professional hairdressers and professional make up artists for your big day.